Modern iOS and Android operating systems have included features to automatically download and install app updates from both the iOS App Store and Google Play. Depending on how you use Fulcrum, you may want tighter control over your app versions — new updates may include improvements to the user interface or new features that you might want to train your staff to use properly. 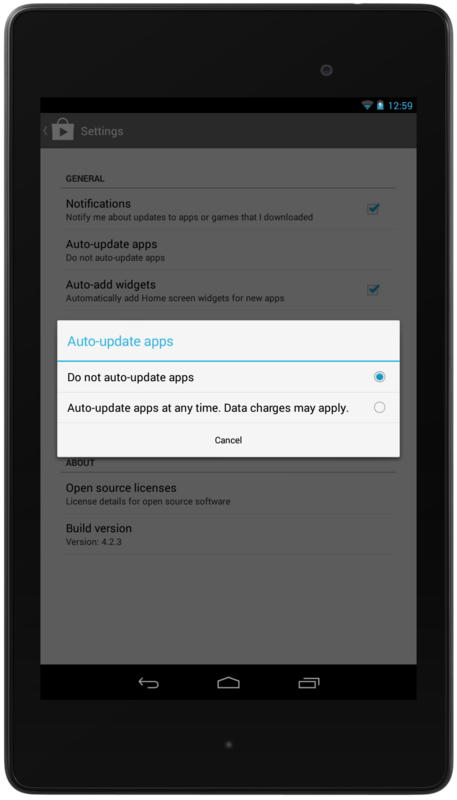 Follow these steps to find the settings for automatic app updates for Android and iOS devices. The settings for Google Play differ somewhat across Android devices. 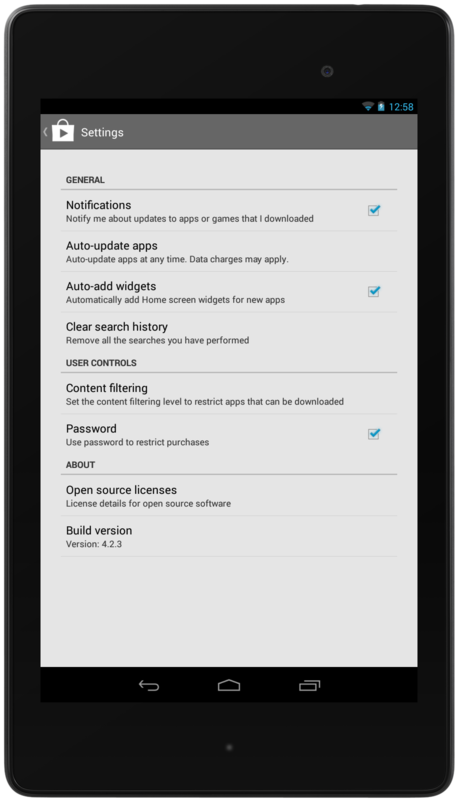 These examples are on Android 4.2, but should be similar for other Android releases that support automatic updating.